September 21, 2013. Air Canada Centre. Things were going well for Alexander Gustafsson as he challenged Jon Jones for the UFC light heavyweight title. Maybe too well. “Mentally, I wasn’t really there,” Gustafsson said. “I honestly believed I could beat him the first time we fought, but I was respecting his weapons too much. I was amazed that it wasn’t that hard. I wasn’t really there to beat him. I was just impressed by myself, but in the long run I didn’t do enough. At the end of five heated rounds that had most observers putting the fight on the short list of the best ever seen in the Octagon, Gustafsson’s inability to “bring the s**t” home” cost him the title by scores of 48-47, 48-47 and 49-46. UFC commentator Joe Rogan previews the light heavyweight championship rematch between Jon Jones and Alexander Gustafsson which headlines UFC 232 on Saturday, December 29 live on Pay-Per-View. It was the kind of margin that can break a heart and leave a fighter unable to get back to those heights again. Or it can motivate him. Sweden’s Gustafsson took the latter road, and on Saturday, he gets a chance to finally run it back with Jones in the main event of UFC 232 in Los Angeles. And while “The Mauler” still respects Jones’ skills, that won’t stop him from finishing what he starts this second time around. They were a problem for Jones, who went through more adversity in 25 minutes with Gustafsson than in the rest of his career combined. It made it a natural for a return bout, but oh, what a long, strange trip it’s been back to Los Angeles. And not just for Jones, whose trials and tribulations over the last five years have been well documented. Gustafsson had his own mountains to climb as he went through several bouts with injuries and key losses to Daniel Cormier and Anthony Johnson before winning two in a row over Jan Blachowicz and Glover Teixeira and getting the call to meet Jones again. Through it all, he never doubted that he would see “Bones” a second time. 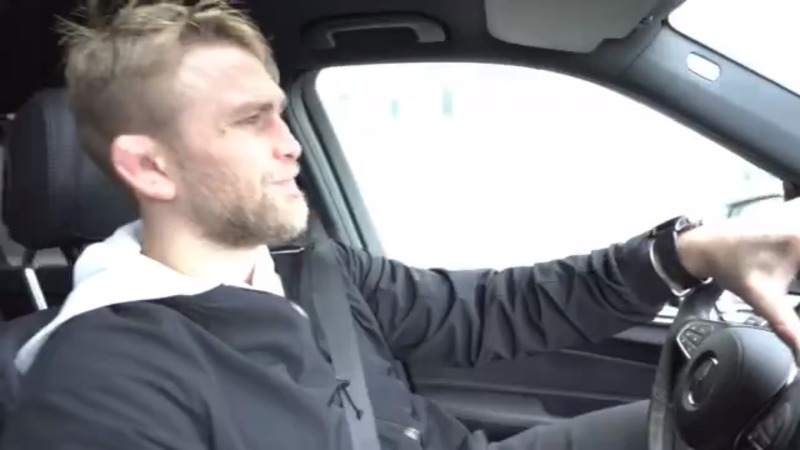 Alexander Gustafsson can't wait for his opportunity to put a beating on Jon Jones when the two meet in the main event at UFC 232. But will it be as good as the first time? Gustafsson doesn’t believe Jones has lost anything since their first meeting. He still does. Though after five rounds the first time, everything else changed for the quiet battler from Stockholm. Gustafsson was shy in the spotlight back in 2013, and while he’s no Conor McGregor now, he has eased into stardom, both at home and abroad, and it appears that he is ready for more come December 29. But fame and fortune doesn’t play into the equation for him right now. There’s a fight to be fought and a belt to be taken. Gustafsson is ready this time – not just physically, but mentally. “I think we both want this more, but we’re both here for different reasons,” said Gustafsson. “He’s here to prove people wrong and he wants to take back what was his. I’m here to prove that I’m the best and beat the guy that’s never been beaten.